2010 Fire View's Strawberry Salsa (Bay Filly by Winsdown Westinghouse)- 2010 Missouri State Fair MO Futurity Weanling Filly Champion. 2010 Salina Charity ASB In Hand 3 & Under Champion. 2011 Salina Charity Open In Hand Reserve Champion. Captive Soul- 2006 Dayton Junior Fine Harness Champion. 2007 Kentucky Fall Classic Fine Harness Junior/Novice Champion. 2009 ASHAO Annual Show In Hand Grand Champion and Park Pleasure Reserve Grand Champion. 2009 Inter-State Triple Park Pleasure Reserve Grand Champion and Park Pleasure Champion. 2009 Twin Rivers In Hand Reserve Champion. 2009 Pink Ribbon Classic Park Pleasure Reserve Grand Champion and Park Pleasure Junior/Novice Champion. 2009 Springfield Charity Park Pleasure Reserve Grand Champion, Park Pleasure Champion and Open In Hand Champion. 2009 Blue Ribbon Fall Classic Park Pleasure Grand Champion. 2010 ASHAO (May) Park Pleasure Champion. He4artland Classic In Hand Champion. 2011 Dayton Park Pleasure Driving Grand Champion. 2011 Randolph Classic Park Pleasure Grand Champion. 2012 Springfield Charity Park Pleasure Driving Grand Champion. 2012 Blue Ribbon Fall Classic Park Pleasure Driving Grand Champion. 2013 River Ridge Park Pleasure Driving Grand Champion. 2013 Twin Rivers Benefit Park Pleasure Driving Grand Champion. 2013 Dayton Park Pleasure Driving Grand Champion. 2013 Blue Ribbon Classic Park Pleasure Driving Grand Champion. Barry's Hat Trick- 2007 Iowa Futurity Unshod Weanling Champion. Lipstick Letter- 2008 All American Cup Top Four. 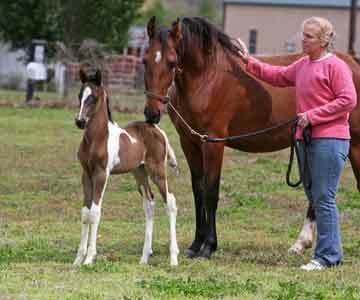 2008 Wisconsin Futuirty Amateur Weanling Champion. 2008 Bluegrass LTD Top Six. 2008 Earnings $15,194.46. 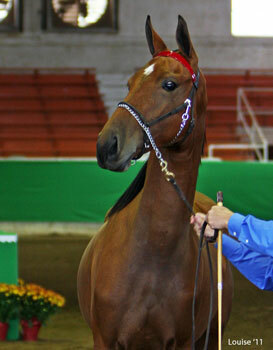 2010 Madison Classic 2 Year Old Fine Harness Reserve Champion. 2010 Oshkosh 2 Year Old Fine Harness Reserve Champion. Just Walter- Madison Classic Fine Harness 2 Year Old Reserve Champion. River Of Dreams- 1997 ASAW Summerfun Park Novice Champion. 1998 Mid-America Fall 3 Gaited Show Pleasure Novice Champion. 2002 Des Moines Springfest UPHA Challenge Cup 11 & Under Champion. 2002 Nebraska Charity SS Walk & Trot Champion. 2003 Des Moines Springfest UPHA Pleasure Challenge Cup Champion. 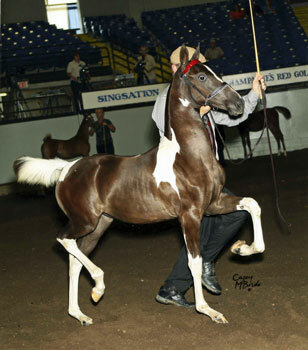 Cool Whip- 1986 Rever City Classic Junior 5 Gaited Reserve Champion.